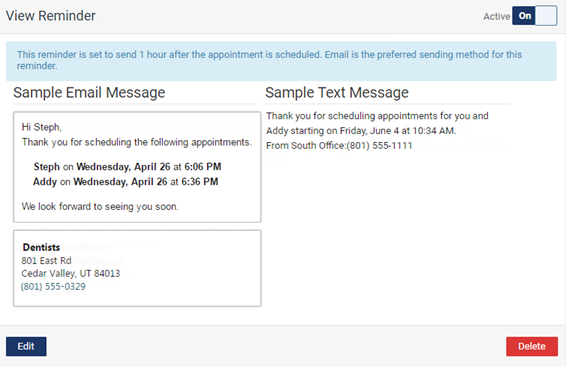 You can turn an appointment communication (an email message and a text message that get sent to patients automatically regarding their appointments) on or off as needed. 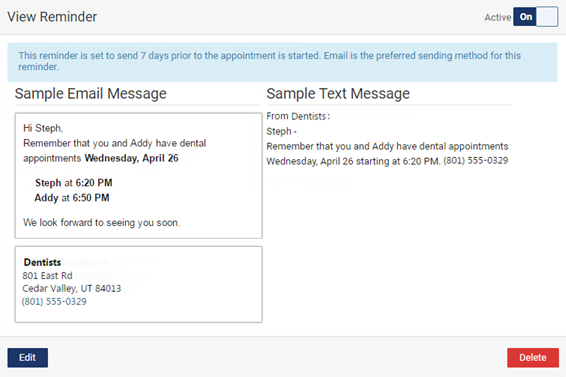 On the Appointment tab of a location's Patient Communications page, click (or tap) a communication. 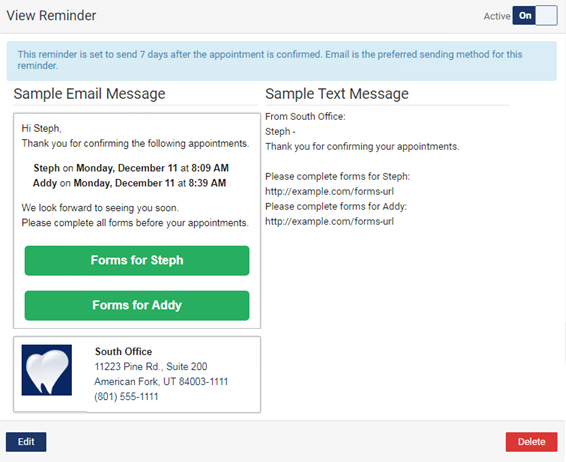 On - The corresponding email or text message will be sent to patients as applicable. 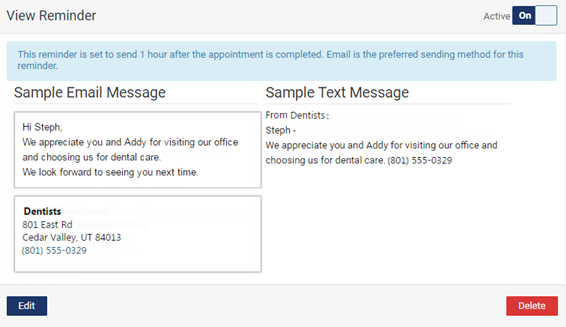 When you turn on a communication, a message appears and explains that written consent from patients is not required for you to send them text messages. After you read the message, click Close. 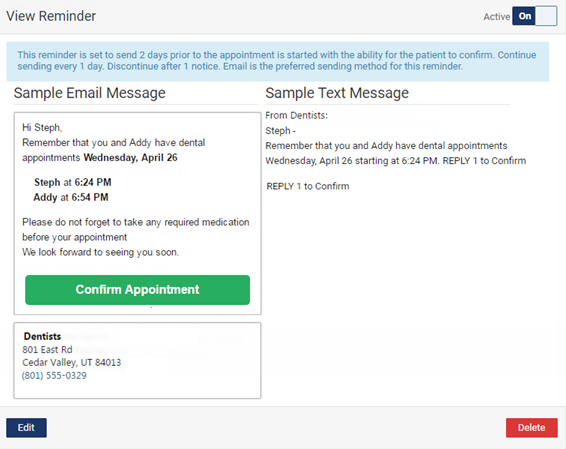 If a patient requests not to receive automated text messages, you can turn them off for that patient, or the patient can text STOP to 45827 from the mobile phone that is designated as the phone that receives automated text messages for the patient. 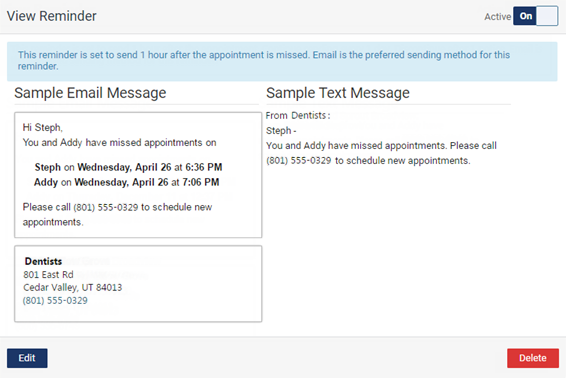 Dentrix Ascend has a default automated text message that gets sent to patients after they confirm their appointments. 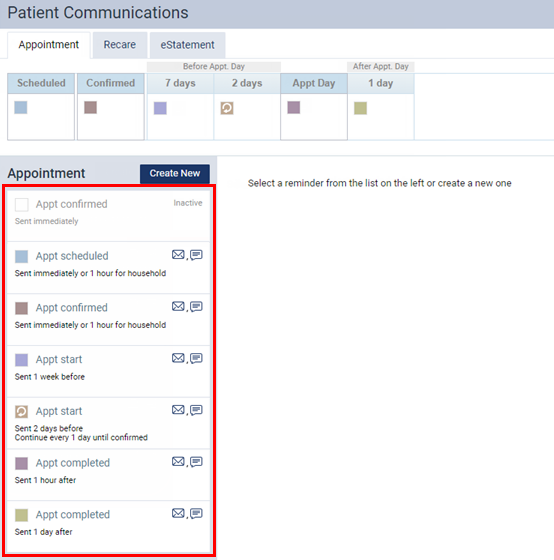 If you also have a custom "Appt confirmed" communication and are turning on the custom one or the default one, we recommend that, whichever one you turn on, you turn off the other if you don't want your patients to get two messages for confirming their appointments. 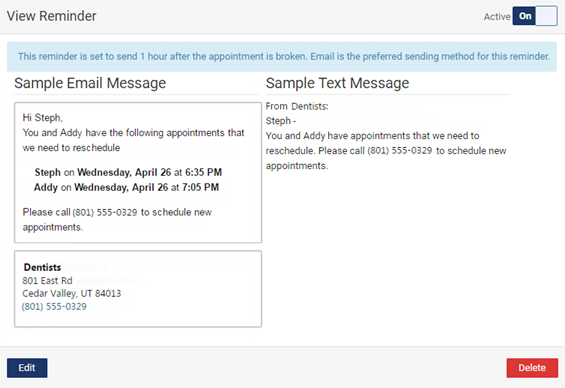 Off - The corresponding email or text message will not be sent to any patients.